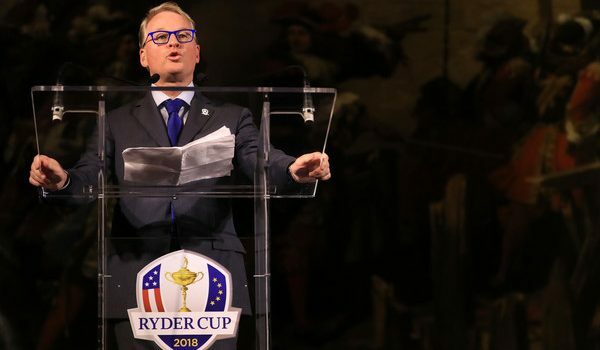 Golf’s European Tour boss Keith Pelley believes Paris will be a fantastic host for the 2018 Ryder Cup and says he fancies Europe to regain the trophy on home soil. Speaking exclusively to Elephant Sport, Pelley said he was impressed upon his visit to the French capital last month for an official ‘year to go’ Ryder Cup dinner, and is eagerly anticipating next year’s event. 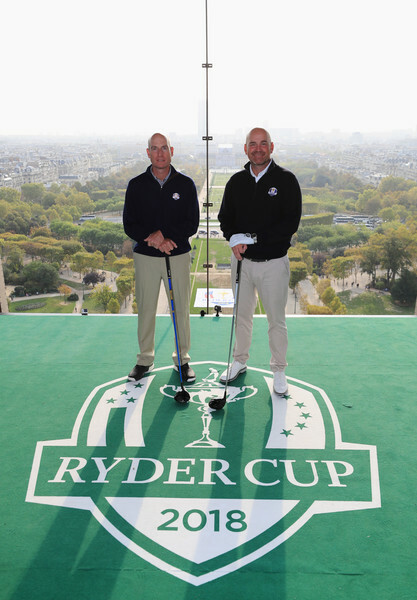 The 42nd edition of the Ryder Cup, between the USA and Europe, will be played at Le Golf National in southern Paris from September 28-30. It will be the first time France has hosted the biennial tournament. “If the ‘year to go’ dinner was anything to go by, where the captains were hitting golf balls off the Eiffel Tower, then I believe it’s going to be an absolutely brilliant Ryder Cup,” said Pelley, chief executive of the European Tour since 2015. “I think we’re in for a right treat. Paris is an iconic city. France as a country is really behind it and tickets sold out in less than two hours. Remarkably, the USA haven’t lifted a Ryder Cup in Europe since 1993, when they won 15-13 at The Belfry in Warwickshire. 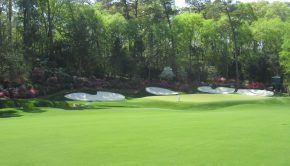 But with Jordan Spieth, Justin Thomas, Brooks Koepka and Dustin Johnson all claiming major victories in recent times, many in the game are tipping the US as strong favourites to break their long drought on European soil. Pelley, however, feels that Europe have their own fair share of top players and believes the continent shouldn’t be too wary of their American counterparts. “I think the likes of Jordan (Spieth) and Justin (Thomas) are great players and of great quality,” said Pelley. “They’ve shown that this year. But we have top young players ourselves. “When you think about Tommy Fleetwood, Tyrell Hatton, Thomas Pieters, Jon Rahm, you know, the list goes on and on. “Also, Rory (McIlroy) is a world-class athlete. He’s proven over and over again that he is a champion at every level. 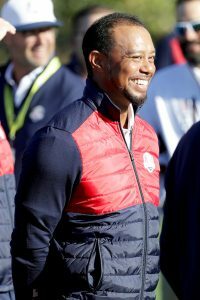 Woods – can he get his career back on track and play in Paris? 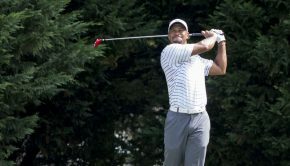 With Tiger Woods scheduled to make another comeback from crippling back injuries at the Hero World Challenge in December, the 14-time major winner’s huge fan base will be hoping he can finally stay fit and make a lasting bid to regain his supremacy. Pelley, likewise, would also love to see Woods, 41, return to his best and try to qualify for the Ryder Cup as a player again. 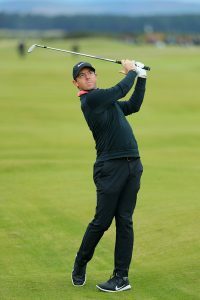 But, at the same time, he doesn’t think his absence would be disastrous to the event or golf going forward, and reiterated his confidence in Europe’s rising stars to set the game alight. “I think Tiger has been a terrific ambassador for the game,” added the 53-year-old. “The players just love to have him around. It would be great if he could return to his lofty heights. Everybody wants that. 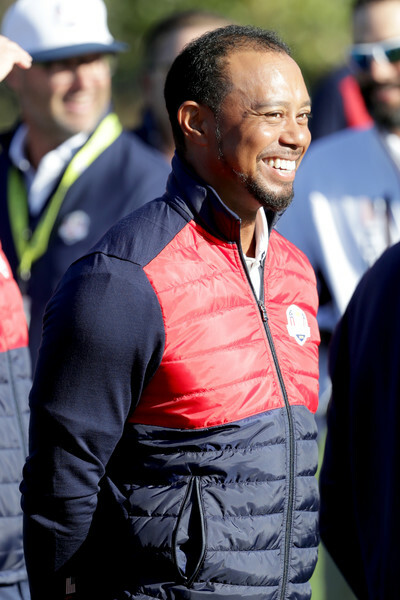 “However, in Hazeltine at the Ryder Cup in 2016, his presence, as a vice-captain, was felt greatly. Regardless of whether he’s playing or not, I hope that he is involved in the Ryder Cup next year with the US team. “But, still, I believe the game is in great shape with so many young players. I’m so optimistic with the talent we are producing in Europe.